The Census of 1901 shows 21-year-old Thomas living at 5 Fair Row, The Holt with father John, mother Elizabeth and siblings Ellen, John, David, Margaret, and boarder Nathan Harrison. His occupation was given as labourer in a brass works. By 1911, he is married to Lillian and has three daughters, Elizabeth, Louise and Lillian and was working as a labourer in a stone quarry. 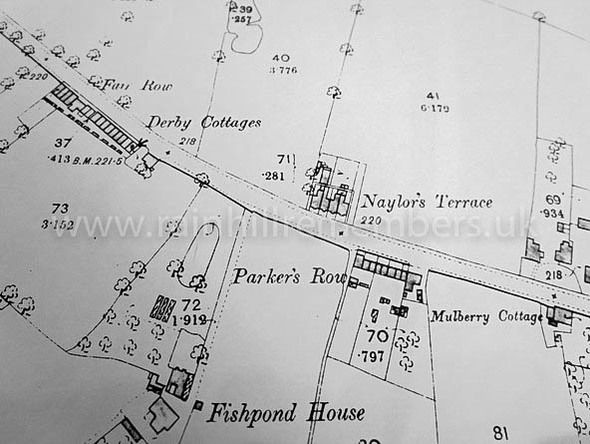 The family was living at 9 Derby Cottages, Rainhill. He went on to have two sons, Eric and John. He was called up for service on 17th January 1918 and presumably because of his experience working in a stone quarry was posted to the Road and Quarries Unit of the Royal Engineers. Army records indicate that from enlistment until 15th March 1918 he remained in the UK before being posted to France as part of the BEF. On 2nd July 1918 he was admitted to hospital. (records do not indicate why) but returned to his Unit five days later, finally being demobilised in February 1919. Records show that he signed to say that he had received the British War Medal and the Victory Medal.